TheLEADERPhu My Hung joint venture reported an after- tax profit of nearly VND3.27 trillion, equalling to $140 million in 2016 only and was one of the largest profitable real estate companies in Vietnam. After 25-year development, Phu My Hung joint venture (currently renamed Phu My Hung Development Corporation - PMH Corp) has become one of typical businesses in FDI attraction in Vietnam’s real estate sector. 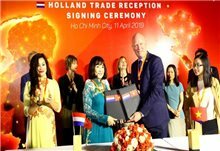 Phu My Hung was established as a joint-venture between Tan Thuan Industrial Promotion Company (TIP) with a 30-per cent stake and the Taiwan based Central Trading & Development Group (CT&D) with a 70-per cent stake. 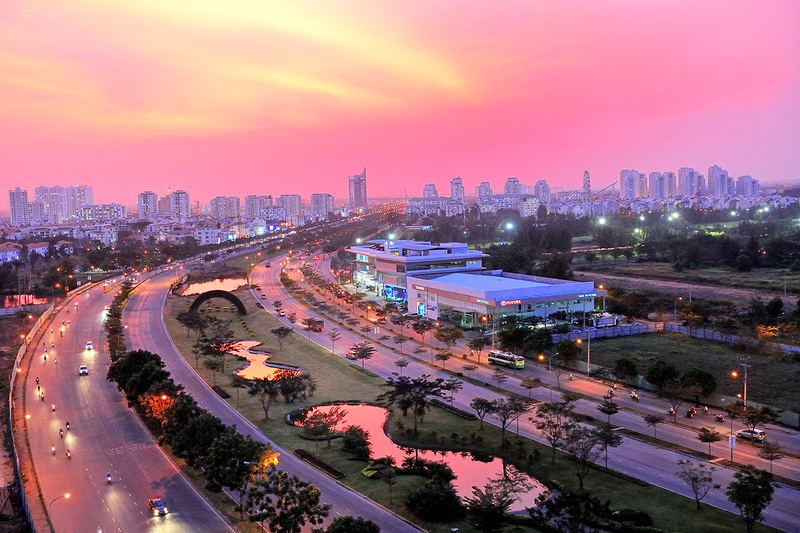 Phu My Hung urban area is considered one of the most successful urban areas in Vietnam with many component projects focusing on mid-and high-end segments. The centre of this urban area covers 409 hectares with about 30,000 residents and half of them is foreigners. The boom in housing demand in Vietnam over the past 20 years has created real estate fever and indirectly brought profits to investors including Phu My Hung. According to Tuoi Tre newspaper, in 2006, the company temporarily transferred a profit of $15 million abroad. However, in the period 2010 - 2014, despite great profits, Phu My Hung did not distribute profits to its shareholders in the joint venture. Local media quoted a document from the People's Committee of Ho Chi Minh City in 2015 saying that TIP had repeatedly requested the company for profit distribution. However, profit distribution was not approved. At that time, Phu My Hung explained that the retention of profits aimed to reinvest and develop business, avoid borrowing more loans from banks. In the previous years, the company had been under great financial pressure to invest in the Cresc project ($86 million) since 2009 and had paid nearly VND6 trillion ($258 million) in land use fees since 2011. The company added that by 2010, over VND2.4 trillion ($104 million) in profits was distributed to TIP. In addition, the company had paid more than VND7 trillion ($301 million) in taxes and nearly VND5.83 billion ($250 million) in land use fees. In the following years, the real estate market remained bustling and Phu My Hung continued to obtain big profits. Specifically, in 2016, the company reported revenue of VND7.43 trillion ($319 million) and after-tax profit of VND3.27 trillion ($140 million). Phu My Hung's profit margin surpassed NovaLand, a prominent real estate developer in Ho Chi Minh City. Although Phu My Hung has large profits, this joint venture has not disclosed information about profit distribution in recent years. According to TIP’s report, in 2015 and 2016, the company’s profits reported in the joint venture were VND752.8 billion ($32.4 million) and VND536 billion ($23 million) respectively. This is considered as dividends TIP received from the joint ventures. 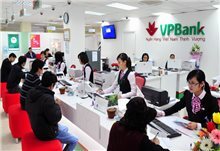 By 2017, the company recorded a receivable of VND411 billion ($17.7 million) as dividends from the joint venture. However, Phu My Hung’s M&A deals to expand the land fund recently has partly revealed the destination of trillions of VND in profits. Specifically, in 2016, Phu My Hung spent thousands of billions of VND to purchase controlling stake in many companies who are investors of real estate projects with areas of hundreds of hectares outside Ho Chi Minh City. 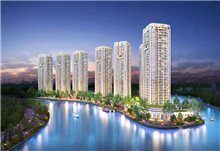 These three projects include the 198.5-hectare Hong Hac - Xuan Lam urban area (Bac Ninh province), 212-hectare Ecological residential area and Sen Viet garden house (Dong Nai province) and 405-hectare Sannam Hoa Binh food plant (Hoa Binh province). In 2017, Phu My Hung continued spending VND530 billion ($23.3 million) to acquire a 100-per cent stake in Gia Viet Real Estate Investment Limited. In addition, Phu My Hung has recently, through its subsidiary Phu Hung Khang, signed a loan of $400 million from a group of banks in Taiwan, China and Hong Kong to deploy the Sannam Hoa Binh food plant.